B.O.A.T. -Blow Out Another Thousand…. Well my lovely Poppet 2 has belonged to me for two whole weeks and I don’t think I’ve ever had so much going around in my head before. Got to do this, need to check that, have to buy the other… Well it has to be said she is a learning curve, and a money pit. I have so many lists now I don’t know where to start! I get half way through a job and then something stops me from finishing it. 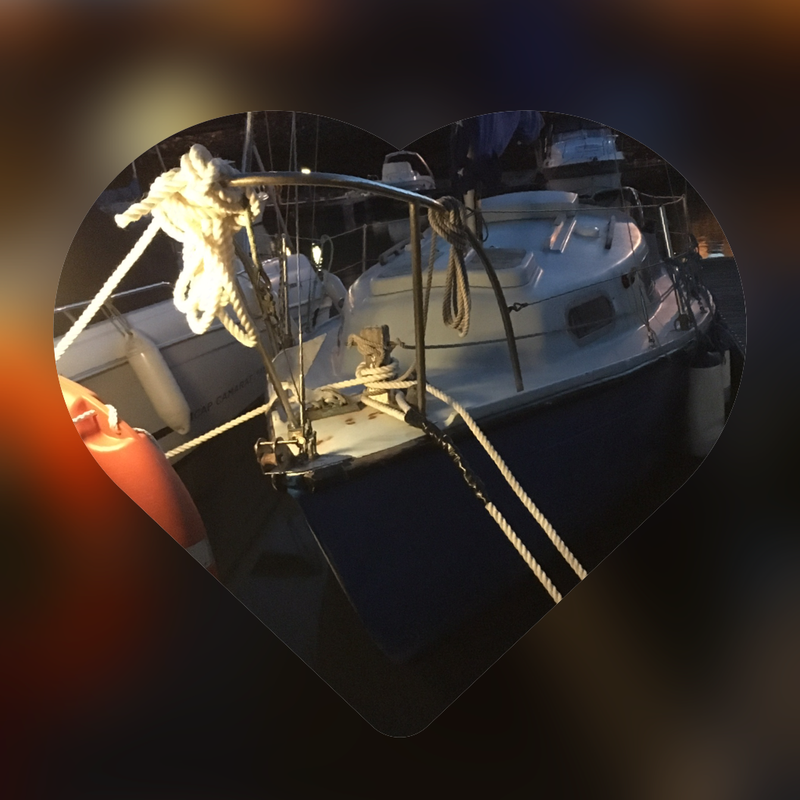 I am just afraid that knowing me and my “bodger” heritage I might forget something major… sails? 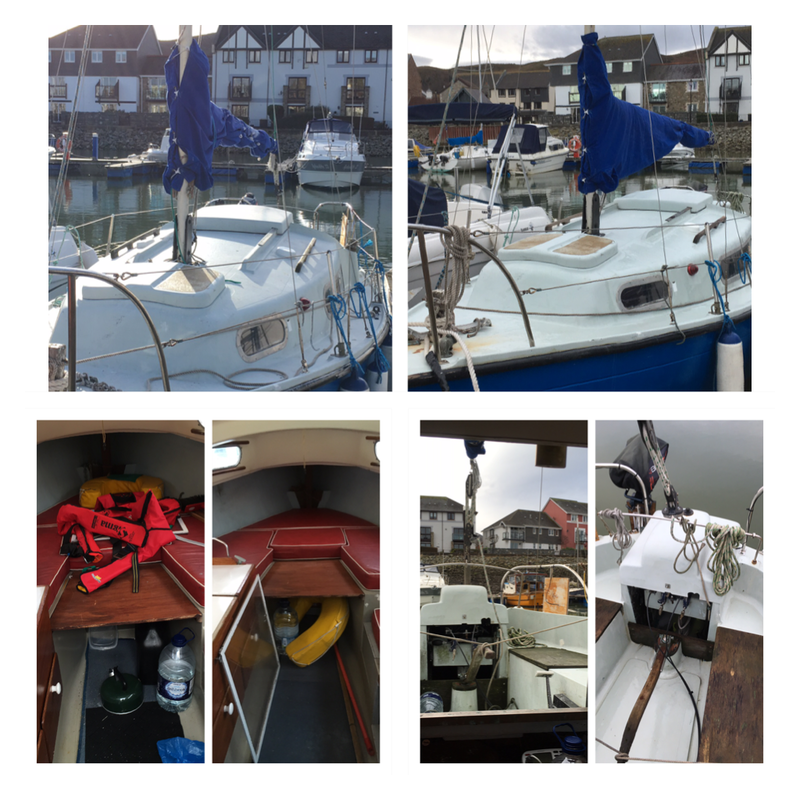 Now generally red is on the port side, and green is on the starboard side, so why do I have a blue starboard light? Was it ever green? 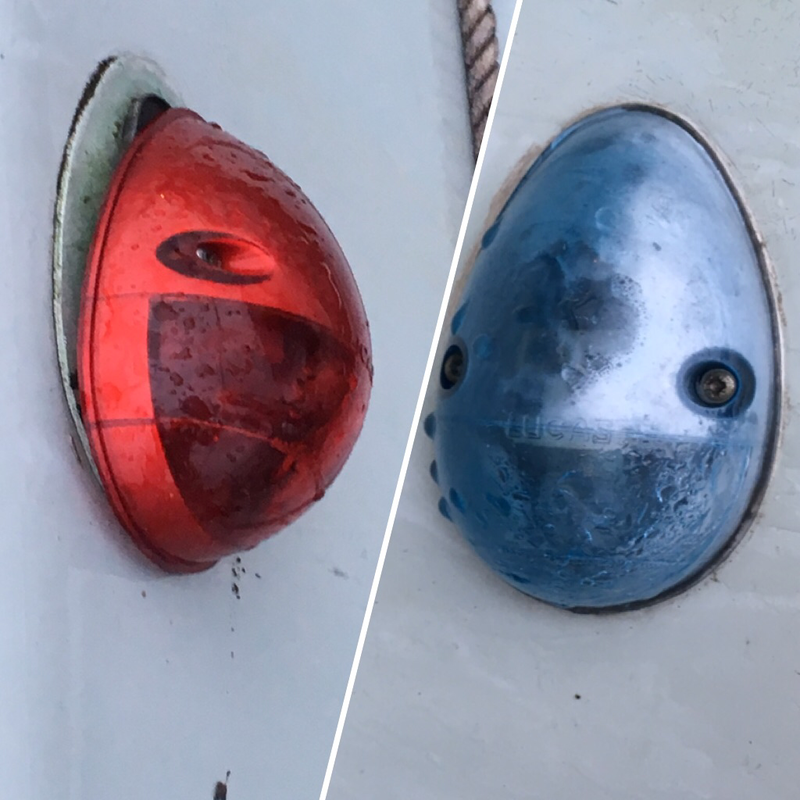 Now, a sailing friend suggested that these lights might not be intended for boats, as I have only seen them for sale in red pairs on an American car website I wonder whether my funky vintage lights are actually car brake lights… or a brake light and a reversing light painted blue!!! Well, anyway, I thought I would check what bulbs I might need to replace as they are not working, and I get the top off and they are soooo corroded I have had to buy a new set… so now waiting for the postman… then I’ve got to learn to do some electrics! So now other decisions to make are, do I just stick with a physical chart and the iSailor app on my phone, or should I get a chart plotter? And if a chart plotter shall I just buy a decent and possibly expensive one with a decent screen, or go cheap and regret it later? Also do I get a windex? Or just tie a ribbon on my shrouds?